Metro is proposing a change that would put money back into your pocket if your train is late. 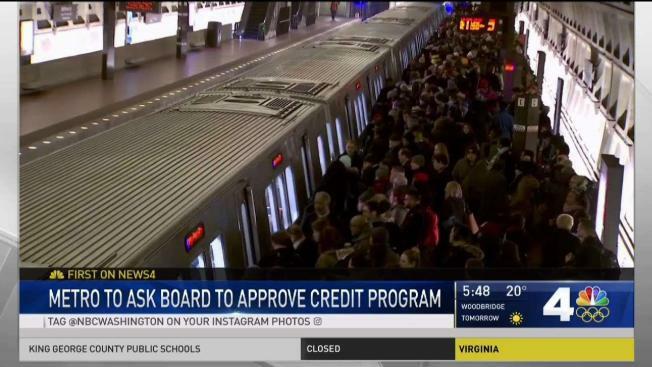 Under the proposal, riders would receive an automatic credit on their SmarTrip card if their trip is delayed by 15 minutes or more. Staff will ask Metro's board to approve the change this week. The refunds would only be given during the weekday rush period. Metro says since SafeTrack ended, only .5 percent of rail trips were delayed by 15 minutes or more. That means the transit agency would have to give back about $600,000 for those delayed trips. According to Metro documents, about 9 out of 10 weekday trips on Metrorail arrive on time.